HERE is a great piece in the Guardian about a new book on Carleton Eugene Watkins (1829-1916), whose photographs of Yosemite in 1861 had a significant impact on Abraham Lincoln and led to the creation of what was in effect the worlds first "National Park". The book by Weston Naef is over 600 pages and contains over 1,200 of Watkins' images. Naef spent most of his career as the curator of the J. Paul Getty museum photo collection - an interview with him is HERE. One notable fact about Watkins was the sheer scale of the work - his photographic equipment weighed about a ton and his images of Yosemite are large format. 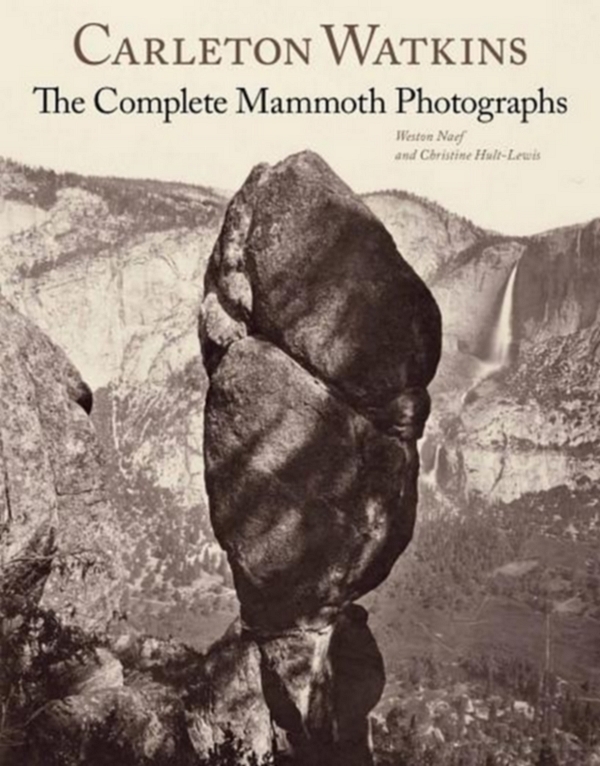 The Naef book describes them as mammoth photographs; the negatives were 18" x 22". The extraordinary body of work produced by photographer Carleton Watkins (1829–1916) between 1858 and 1891 constitutes one of the longest and most productive careers in nineteenth-century American photography. Nearly thirteen hundred “mammoth” (18 x 22 inch) glass-plate negatives were produced, the majority of which exist in only one surviving print. Of these, fewer than three hundred have been previously reproduced or exhibited. Drawing on the major collections of Watkins prints at the J. Paul Getty Museum, the Bancroft Library at the University of California, Berkeley, the Huntington Library in San Marino, California, and numerous smaller collections, the authors have assembled and catalogued all of Watkins’s known mammoth-plate photographs. These include views of Yosemite, San Francisco, and the Pacific Coast, as well as railroads, mines, and lumber mills throughout the west. The work will contribute not only to a fuller understanding of this pioneering photographer but also portray the barely explored frontier in its final moments of pristine beauty. The catalogue is organized by region and includes an inventory of Watkins’s negatives and an illustrated guide to his signatures, both of value to scholars, collectors, and dealers. There aren't many humans in Carleton's photographs of Yosemite - one of them is Galen Clark, who became known as the Guardian of Yosemite Valley. Clark offered guided tours into Yosemite and is sometimes called the world's original conservationist. 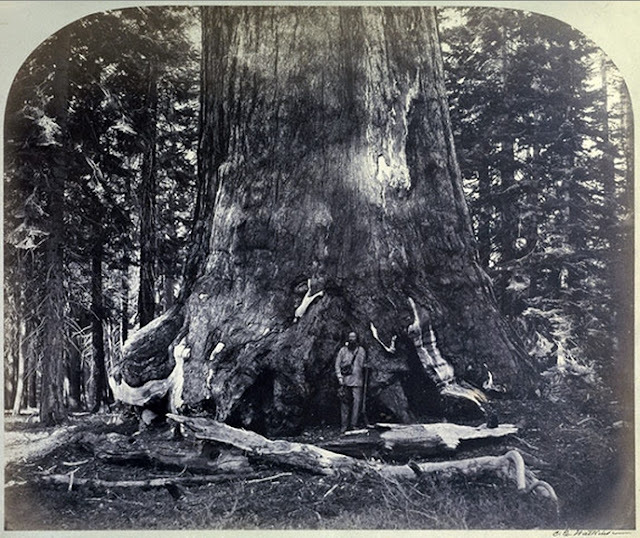 In this Watkins photo Galen Clark stands by the Grizzly Giant sequoia tree, which for many visitors marks the start of their journey into Yosemite.